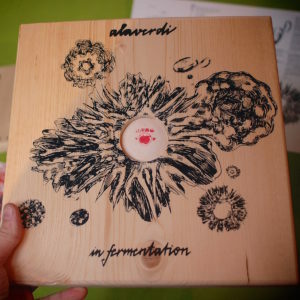 Alaverdi’s fourth album – In Fermentation – is out now! 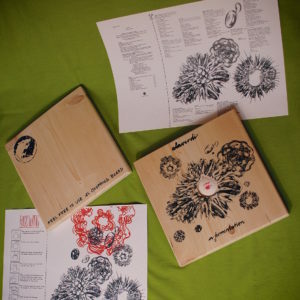 It contains a lot about fermentation, a bit about Estonians, northern lights, dog sleds, the question of time, a manifest by the United Edible Animals Front, also Monika Načeva, Nazi concentration camps, also Ema Brabcová and Olga Königová singing a Lithuanian folk song that we wrote, and so on. 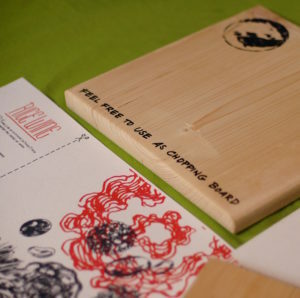 This time, it is very special – a robust wooden chopping board with original silkscreen prints, poster and booklet by toy_box, an actual yeastball for making your own rice wine. And a download code. 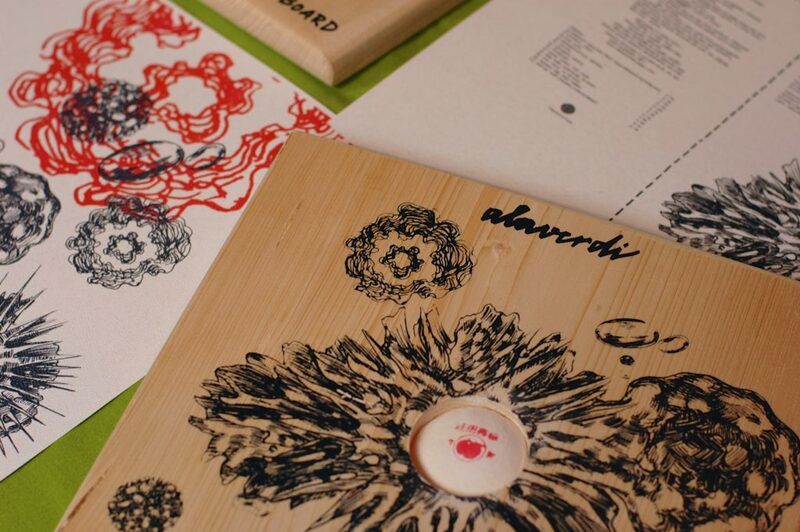 To buy the limited edition, please write to alaverdi.edgaras@gmail.com or come to one of our shows.